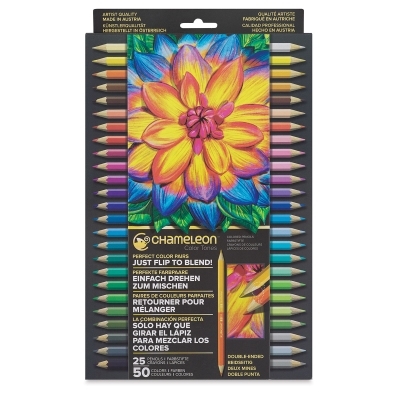 Specially designed to take the guesswork out of choosing the right color for blending and shading, Chameleon Color Tones Colored Pencils have the perfect blending color on the opposite end — just flip to blend. 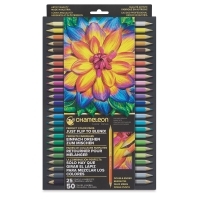 The finely crafted pencils in the Chameleon Color Tones Colored Pencil Set are made in Austria to provide richly pigmented, intense color and a buttery smooth consistency. Every pencil combination is color-matched to deliver captivating blends and transitions. 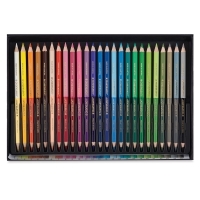 The colors layer and blend well, and the pencils have 3.8 mm break-resistant cores. Chameleon Color Tones Colored Pencils are presharpened. 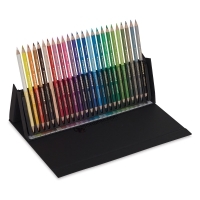 The storage case transforms into a convenient easel case for creativity on the go.